Look at the Cheese in This Calzone From Tramonti! Is this a cheese pull or a cheese drool? Im not sure it matters. 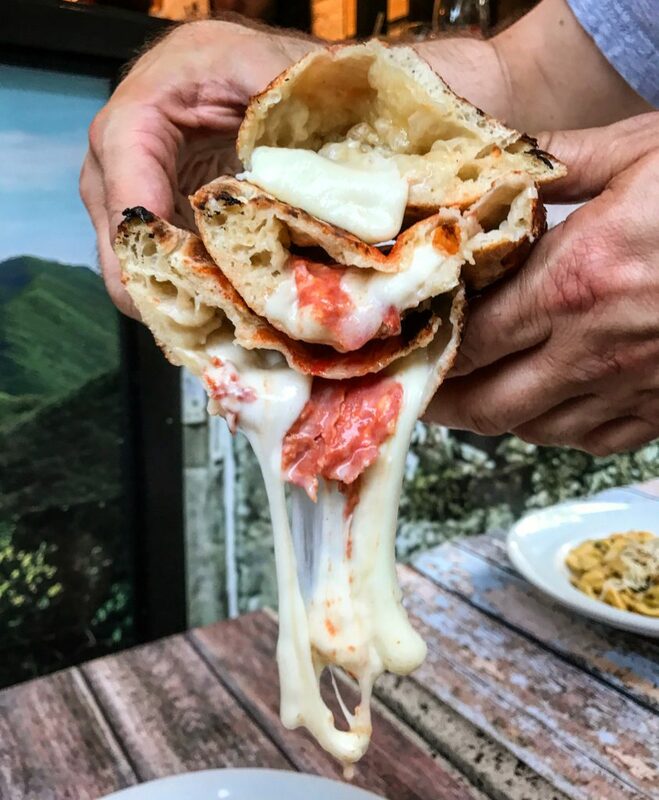 What’s important is that you go to Tramonti La Pizza and eat this calzone with smoked mozzarella! My biggest issue with calzones in general is just too much dough and not enough of the fun stuff. DEFINITELY not the case at Tramonti! The dough was light and chewy like a proper napoletana pizza and worked to compliment the cheese and pork inside. Do not attempt this trick on your own! Ask Matt Bruck from EatersDrinkers to help you. He’s willing to burn his hands so you can get a few more likes! This entry was posted in East Village, New York, pizza and tagged calzone, east village, nyc, Pizza, tramonti. Bookmark the permalink.